Yesterday marks 5 weeks since we officially moved from our Utah home and thought we closed on it. Some of the details around the demise of that sale we don’t feel are appropriate to share here, but we knew it was time to move on and try to sell the house again. We had a lot of interest in the house just through word of mouth, but after a week of showing friends and friends of friends, hoping one was ready to pounce right away–we decided we better list the house in the local online classifieds, too. It was a risk since there were some things that the previous buyers insisted we not do (like carpet what used to be my studio or fix the drywall in the basement storage room) but would have absolutely done in preparation to list–we posted the house below market value to hopefully sell it quick despite the imperfect condition. Of course living 5 hours away without a realtor presented a problem, too. We offered our sweet neighbor $20 to unlock the door for each showing and she happily agreed. The night we posted the house, we got a call and scheduled our first showing for the next day. By the morning, we booked 4 more. And by evening we had scheduled 13 over 2 days. 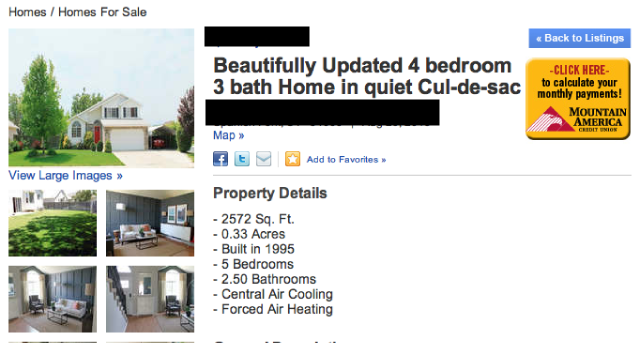 We were really holding our breaths that someone in those 13 showings would make an offer on an empty house with no power and missing carpet and drywall–Which, when I put it like that, I’m surprised we got 1, let alone 3 offers! They were all good offers, but one was a little stronger with a faster closing time. All that to say, we’re under contract again! The inspection has been done and we are scheduled to close next week. And if you’re wondering if we got an attorney this time around–nope! A Breath and A Break. Buzzes and Crashes. Happy Weekend! Congratulations on the finding another buyer! We love how you’ve been so forthcoming with the good, the ugly details and the missteps we can all make when it comes to buying and selling homes. (The process never turns out the way we imagine it) We had an interesting process on this last one with many, many missteps and surprises. I might even have to re-tell it someday in the blog, but I think I might still have PTSD from it. Thanks for sharing! My husband used to be a real estate attorney so when it came time to buy our second home (he was in law school when we bought our first), I’m sure both realtors thought he was a nightmare because he’d have a million questions. As embarrassing as it was (and oh my hell was it ever), I’m glad he asked those questions and made sure everything was done right so we didn’t lose out. Congratulations on finding another buyer for the house! Thanks for the update, it’s great you continue being so honest and straightforward with your readers. Too many blogs post hints and tidbits and vague veiled pieces of information, and then boom, they produce a perfect finished product. It’s more of a way for bloggers to show off in a humblebrag type of post, like hurr durr look how awesome we are. The reality of life is that paint gets spilled, deadlines can’t be met, perfect pinterest aspirations turn out wonky, and life happens. A regular person can learn so much more from seeing the actual efforts you go through to achieve success. I think you’ve gotten some amazing support from your readers. Please keep on keeping it real! Your grace in navigating these obstacles is the real inspiration. It’s wonderful that you had so much interest in your house after all the trouble you went through. However, do you think that maybe considering your recent experience, you could have just waited until the closing was finished and everything was 100% complete and the house was officially sold? I truly hope everything works out for you, but it just kind of seems like you didn’t learn anything from the last time when you implied everything was a done deal and told everyone how easy it was. Is it that hard to wait until the house is SOLD before announcing this?? Actually, waiting would have been the easy thing. Believe it or not, there are a lot of people who have taken an interest in our home selling process, including the mistakes. There’s actually an entire forum dedicated to us, that has conjured up an entire false story about what has happened between us and our last buyers. Straight up lies. So when you ask if it’s hard to wait until the house is sold, the answer is definitely no. People look at us like we’re bloggers by profession, but it’s just something we do for fun. We’re actually quite private, and we’re floored that anyone would be interested in our vanilla-flavored lives. Definitely the easy thing would have been to not talk about this experience at all and just protect ourselves. So I guess the reason we posted this is because we’re trying to keep it real. We’ve been going through this process for 3 months now. I know people who have taken 6 months and even a year to sell their homes. That’s real life. We’re excited to be under contract, and even though it may not come across this way, our new buyer is VERY different from the last. That said, we know it could go wrong and we haven’t broken out the proverbial wine glasses yet. We’re praying all goes well, but if it doesn’t then we have 2 back up offers and we’ll go from there. Putting it out there does make us more vulnerable, but that’s ok. Okay. You seem very defensive and this was only meant as constructive criticism. I did not say that I hope the sale falls through or that I don’t care for your blog. I don’t think I posted any lies here about your last buyers (??) but I’m sorry if it was difficult for you. The only thing I do take issue with here is that you say you are “quite private.” You have a blog that features your home and your family and child on the internet for the purposes of sharing with strangers. I’m sorry, but that is probably the most NOT private thing I could think of. Anyway, good luck with the sale and I look forward to seeing what you do with this new house; it looks like a lovely spot. Haha, I’m sorry I don’t think my tone came across clearly. That’s my fault. I wasn’t saying anything about you. You asked why we posted that we’re under contract again and asked if it was really that hard for us to wait until the sale went through. I was simply using OTHER people as examples in my response – wasn’t talking about you, just answering your question. My apologies for the miscommunication. An entire forum? In my opinion, when I read that you were selling your house and wanted to share the whole process on your blog, I took it as a dig to YHL because they waited a few months before announcing they bought a new home. I think most people are just caught off guard because while you remain quiet about why the first deal fell through, which is 100% your right, you are quick to announce you are under contract again. Based on the information you have shared, some things just don’t add up. The most successful blog writers come across as honest people. Not knowing the whole story, I am not saying that you are dishonest, but it’s hard not to question your side of the story. This is a prime example for why sometimes it is best to wait until everything is final, before making any major announcements. I guess we kind of knew that not spilling the beans about every detail that happened with the demise of the sale of our house the first time around, could cause confusion and maybe come back to bite us (and it clearly has). We just didn’t want to tarnish anyone’s reputation, so we’re happy to take any hits. If that makes you feel like we’re dishonest, I guess that’s okay. As for digging into John and Sherry, not our scene either. Not only are they friends, but we respect them and their work. We said we were going to share the whole process in this post when we first announced we were moving (http://www.chrislovesjulia.com/2013/07/moving-up.html) and we’re just trying to stick with what we promised–although it hasn’t always been pretty. Thanks for the feedback. I feel like you’re angry at us for something. I’m sorry if our words have offended you in some way, and you seem to feel like we’re being dishonest? All I can tell you is that we’re selling our home the way we feel is best for us. Sometimes, things just happen. We learn from it, and move on. But this time around is very different from the last time, which obviously nobody else would really know except for us. But between the buyer’s realtor, our rep at our title company (who we have a strong relationship with) and the research we’ve done, we feel our bases are very covered. And if the sale falls through, we have 2 backup offers. You seem to be under the impression that we can control both sides of this thing. Unfortunately, that just isn’t the case. But we feel we’ve done a much better job this time than the last. But I guess we’ll all see soon enough. You completely misunderstood my post. Carry on. Another recent seller here chiming in that we only had one realtor (the buyer’s) and it worked great. Yes, the buyer’s agent is representing the buyer and only the buyer. 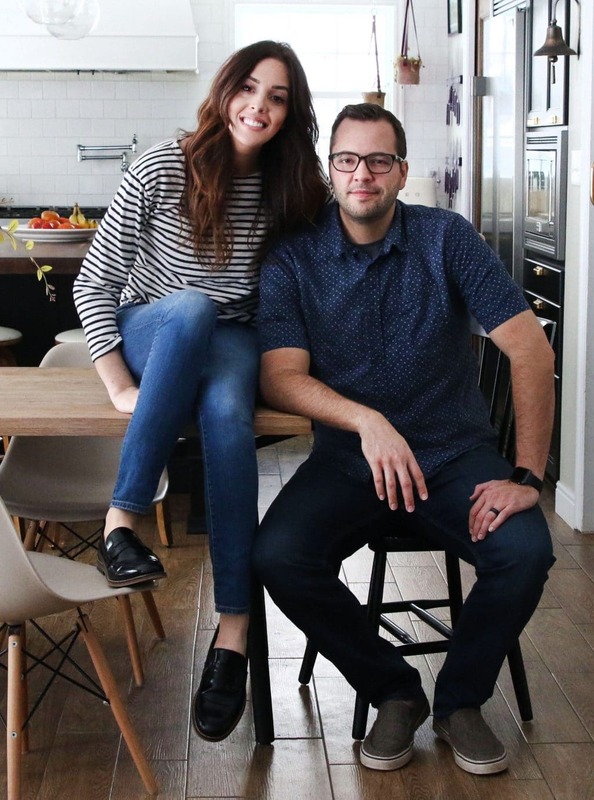 But if you as the seller have a good idea of what your house is worth and how to negotiate the process, the motivation of the buyer’s agent getting the paperwork done can be enough, just like in Chris and Julia’s case (and in my husband’s and my case). Getting an additional attorney might be reassuring or helpful for many people, but in our case it would have been overkill. My conclusion from our house-selling experience (and from others’ experience that I’ve heard, on this blog and from others) is to have at least one qualified, professional person involved in orchestrating the sale. Whether that’s an attorney or a realtor is secondary and I think can vary depending on what state you live in and how experienced you are as a seller. YAY! All in all, this has been a very fast selling process. Hopefully you guys won’t have to deal with anymore hiccups and any more moves for a LONG time! Moving stinks. and I can’t imagine owning the place! Congratulations! Good luck next week. Fingers crossed that everything will work out this time. I am interested what influenced your decision NOT to use an attorney after the last issue? Their realtor represents their interests, not yours. I am not criticizing, just really curious as we are about to list and are considering our options. Hi Elsa, that’s actually a really good question. The realtor only makes money when the sale goes through (and we’re the ones who pay her), so her loyalty is on both sides. We’ve spoken with her at length and made her aware of our needs, and she’s been great to work with. The purpose of an attorney is simply to make sure paperwork is done correctly and both parties are agreeing upon conditions and upholding their agreements. They make a flat fee, regardless of outcome. You end up paying realtors more than an attorney, but they are more motivated since that comes only upon a successful sale. The Buyer’s agent’s loyalty is not on both sides, as incorrectly stated here. The Buyer’s agent has an ethical duty to the buyer and only the buyer, as Elsa correctly stated. Congratulations! Hope everything goes smoothly for you, and you can put all that stress behind you. Can’t wait to read about all the adventures in your new home. Hurray! Hope the closing goes well for you! I don’t know if you remember from my comments earlier this summer, we were selling FSBO a bit before you and did end up going with our buyer’s choice of realtor to do the paperwork. I knew ahead of time I wanted one official person coordinating to help things not go wrong, and I’m so thankful nothing did (especially since we were closing from abroad)! Sometimes I’ve wondered if I’d been too cautious going with paying one realtor, but your story is confirmation for me that it was money well spent. :| Thanks for blogging about the experience, it’s gracious of you and I’m sure will help many people be informed of the options and risks in their future house buying/selling adventures!! I’m not surprised one bit that you had so much interest – you made that home beautiful! Congrats on the offers and good luck with the sale!!! YAY, this is awesome news!! !